Rich is a financial consultant with ProEquities. in Pensacola Florida. After working for two fortune 500 companies, Rich wanted to work in an environment in which he would have better opportunities to solve client specific needs and assist them in pursuing their financial goals and objectives rather than having to sell specific products. He created that environment by forming Parkway Financial Group. 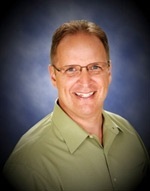 He has over twenty-five years of experience in small business management and more than 19 years in financial services. Rich conducts his business with dignity and integrity and is duty-bound by the College for Financial Planning code of ethics. Rich brings you the ability to create and develop priorities and strategies that may help your personal financial goals become a reality. He has been a featured speaker at both private and public seminars and at colleges on the subjects of estate planning, long term care, investment basics and small business management. Rich lives in Pensacola with his wife Patricia. In their spare time, they enjoy international travel and outdoor recreation, including hiking, biking and tennis. Rich joined forces with The Dave Ramsey Show in 2005 and is part of the SmartVestor Program. Investment professionals are chosen by Dave Ramsey's team to be part of the network based on their integrity, professionalism and experience. As part of the network, Rich understands and believes in the investment principals that Dave teaches on The Dave Ramsey Show each day. Rich is contractually obligated to share the same investment philosophies with you that Dave teaches on the air every day. The Dave Ramsey team works with each Investment Professional to make sure that they serve their listeners with high standards of customer serve and with the heart of a teacher.